More than the idea that bhakti is an important accessory for jnAna, Lord Krishna has shown that jnAna itself is Bhakti. He mentions four categories of devotees and in naming them he lists ‘ArtI, jijnAsu, arthArthI and jnAnI’ (B.G. VII – 16: Arto jijnAsur-arthArthI jnAnI ca bharatarshabha). ‘Arta’ means the distressed sufferer. ‘jijnAsu’ means the one desirous of knowledge, that is, the one who wants to know the Truth and makes effort to know. ‘ArthArthI’ means one who desires wealth, money, possessions, property, power etc. The fourth is JnAni himself. The formal order among these should be ArtaH, arthArthI, JijnAsu and jnAnI. For the purpose of metre requirements, the order has been changed in the Gita verse. Our business here is the mention, namely, the jnAnI as the topmost devotee. 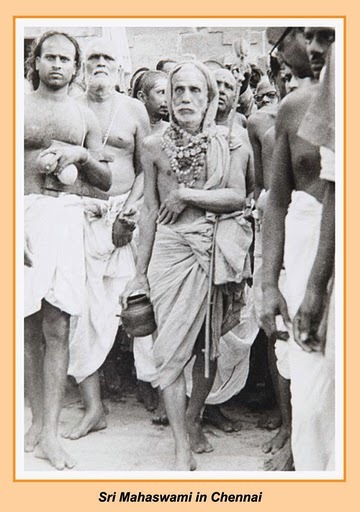 Why can’t we take him as a dvaita (dualistic) JnAni? – may be a quixotic question here.